Would you want the cheapest doctor performing your surgery or the best qualify doctor to complete it? The homeowner’s insurance process in Florida has changed and now models the medical insurance claim process. This means no more negotiating with your insurance claim provider what should and shouldn’t be covered under your policy. It was a pleasure to meet Mr.Justin Mottola , He was very professional and knowledgeable. Explained many things to me. He even went up to the attic to check for leaks. I really appreciate his service and it reflects well on your company Kelly Roofing. Good initial impression. Look forward to doing a new roof with you as soon as possible. Thanks for your help and professionalism. Does it matter what roofer I choose? Since insurance recovery pricing is a set price we suggest using the best roofer, as all prices would be the same. Can insurance money cover my deductible? It is the responsibility of the insured to pay the deductible. Do I have to use my insurance provider’s roofer? In most cases you have the right to choose any roofer you want. Since all roofers and insurance companies use the same pricing program we suggest picking the best roofer. A few insurance companies have provisions to invoke their right to use their own recovery contractors. 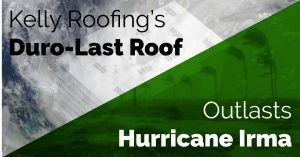 *The statements on this page are personal interpretations and opinions from limited experience and legal advice provided to Kelly Roofing and/or Kelly Roofing’s clients and are not to be used as legal guidance. Kelly Roofing is not qualified or licensed to provide insurance advice, discuss claim information, act as a public adjuster or provide legal representation.